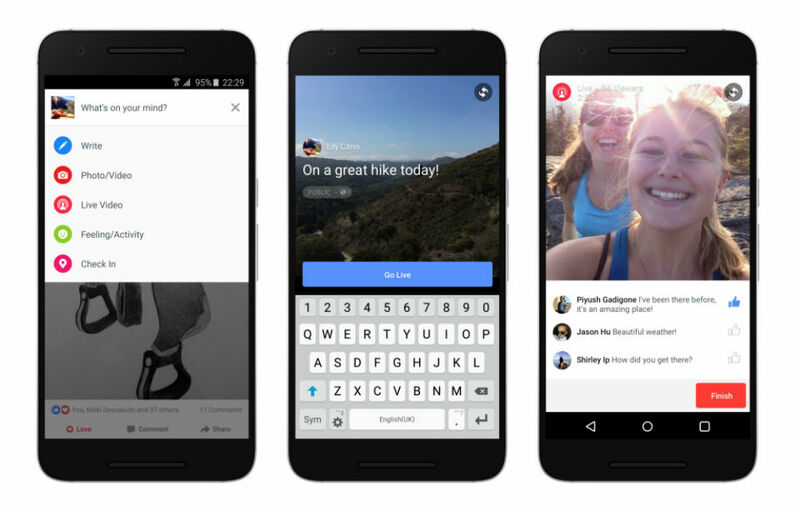 Facebook announced that it is bringing Facebook Live to Android users in the US over the next week. With Facebook Live, users can stream live video when they are chilling at home or out and about, allowing friends and family to watch the video right from their News Feed. In a way, think of it like Periscope, with the exception that it is not a standalone app and is a feature built-in to the main FB app. When you are ready to start a live recording, tap on the “What’s on your mind?” section at the top of News Feed. You will then see a Live Video icon. Before you begin, you can choose your audience, as well as type out a description of the video. When streaming, you will see in real time who is watching, and can also respond to incoming comments from viewers. Again, just like Periscope. When you are all done, the video will be saved to your Timeline, which you can then delete or keep forever. As soon as this feature goes live on Android devices, we will let you FB fanatics know.